It’s pretty weird to be giving the Nissan Teana a go when Angelo has already driven it a while back and he has done quite an exhaustive review of the car. However, since Nissan has been kind enough to give another PinoyAutoBlogger another go at its flagship luxury sedan, I’m more than happy to give my two cents worth on the Teana. The unit’s still the same 250XL unit that Angelo drove a while back. The car packs a 2.5L V6 engine under the hood and the engine is mated to a CVT transmission. Power is sent to the front wheels. The engine supposedly produces 182 hp which means that should theoretically be more than enough but the sheer size and weight of the Teana makes the car seem wanting at times. Literature pegs the 0 to 100 kph sprint time at 9.6 seconds which is, by 2.5L V6 standards, is quite slow. And 182 hp from a 2.5L engine seems to do the displacement quite the injustice. It also seems to have a problem getting off off the line which I presume is no thanks to the max torque being accessible at the 4,000 rpm rev area. In normal driving mode, the engine seems to produce power in lumps and you have to rev past 2,000 rpm to get any decent response. The CVT transmission seems to temper how the power is put on the road. With all those ponies to tap, I was expected some torque steer but there was none. The gear changes were sublime enough but this is expected of any modern automatic transmission these days. Only when pressing the Sport button (which is basically the overdrive switch), does the Teana comes alive. This allows the engine to rev happily past 3,000 allowing the car to really start tapping those ponies to work. Pretty handy when overtaking other vehicles or simply just getting up to speed. 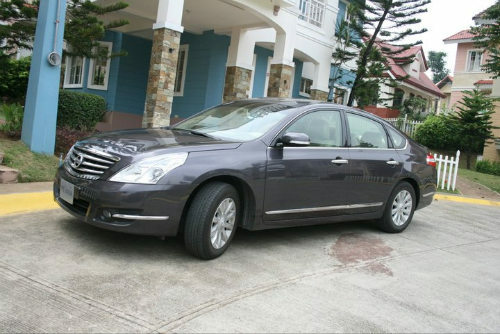 The Teana is a large car by Philippine standards. While by market segment, it is technically a “mid-size luxury sedan,” mid-size here means it is huge. Driving it is almost like driving an SUV which means you will have to compensate for the length when going about your business in Metro roads. Unlike SUVs, though, the ride height’s still pretty low so you don’t actually get to see a whole lot. The steering does feel a bit heavy. Some might not like it for the effort involved which does go against the idea of “luxury” but I personally like how this actually gives the driver some degree of effort and input. Outside the Metro, when the going gets twisty and hilly, the car does have some decent handling characteristics. Once you get over the weight of the thing, you can appreciate how the car can be chucked around at the corners and the car still feels planted (partially) thanks to the anti-lock system. 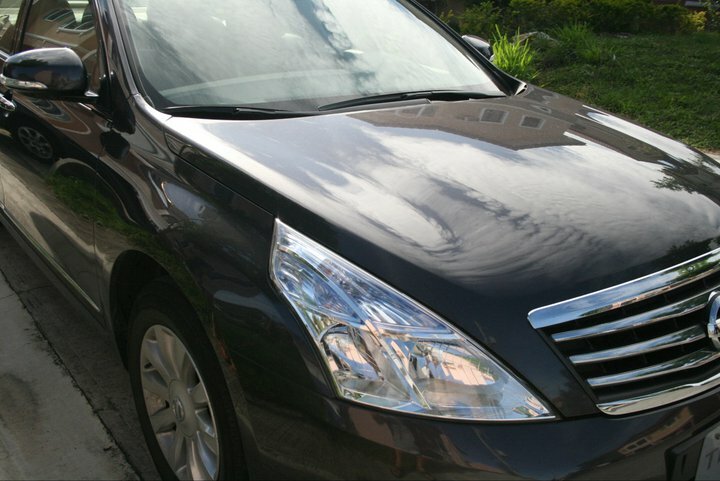 Outside, the Teana has that long with a limousine look to it but it still carries with it a degree of modern car look. To an extent, it does have that aggressive hint to it with its sloping lines that seem to be shared with the old 350Z. Inside is where the car seems to fall into pieces. For a “luxury” car, it doesn’t make some feel like a million dollars. Sure, the car seats are covered in leather but the dash and the trim feels all too plasticky. And that faux wood panel in the trim isn’t fooling anyone. The fluffy carpets and mats also inspire a compulsion to wipe one’s feet outside first before stepping into the car. Now, I come to perhaps what is most critical as far as “luxury” sedans go. The Teana’s ride is it’s best piece. I haven’t driven over Marcos Highway in Marikina without a shattered until I drove the Teana. The suspensions just absorbs the bumps quite nicely. However, it makes me wonder if this whole comfort and ride business is actually the restraint that doesn’t allow this car to roar when it’s time to give it the beans. Sudden acceleration and braking in a car with such a ride can actually give you motion sickness. It happened to me whilst chucking the car around. The huge seats with motorized adjuster also feels snug and provide a lot of lumbar support. I am a small man but I never felt lost inside the car despite its dimensions. There is so much leg room both up front and at the back that people who stand over six feet can actually find it roomy. Now this being Nissan, it sure has a pretty strong aircon. The vent system even extends to the middle console to provide some vents exclusively for the back. You can even set the aircon in dual mode for additional breeze. This bit, I wasn’t really sure where to place but if you’re a techie, then you’d probably be interested that the Teana doesn’t have a regular keyhole for the ignition. The car imitates those keyfob systems in Aston Martin and Merc cars and you start the car using a button. The dash also provides some pretty neat information such as the fuel consumption, available range given the fuel in the tank, and a trip meter displaying both time and distance. Though playing with these whilst driving will simply endanger your life so caveat there. I was wondering why Nissan stripped the test car off its other tech bits. The car didn’t have a reverse camera nor an integrated DVD system built to its dash console. Instead, it had one of those beeping reverse sensors that had a shy beep quality to it. Those tech bits, I think are now dealership options to the car. But come on. My i10 has a talking reverse camera sensor that the dealer gave me as a freebie. Nowadays, no thanks to the scarcity of oil, a huge gas-burner such as the Teana will not be the most practical option if running costs be the benchmark. The on-board meter told me that in mixed city and highway driving I was able to get 7.5 km/l. But I think that is wildly optimistic. A heavy car with a V6 and strong aircon just cannot have such economy. I had the chance to drive a 1.6L Sentra from the naughties and 7.5 is already an impossibility in that car. If size and space is the prime consideration, then the car has another piece de resistance. The boot is a golfer and/or a family man’s delight. You can actually fit around 5 golf bags in it. Or if you feel like disposing of dead bodies (kidding… or not), you can fit around 3 me-sized people in there. Trust me, I was thorough and snuck inside the trunk. The car should be pretty safe as well, with front and side airbags, seat belts, ABS, and active head restraints. As for the price, it has to be one of the most expensive cars I’ve ever driven. The 250XL’s price tag is pegged at Php 1,690,000 which isn’t exactly cheap. If you want the range-topping 350 XV with the 3.5L engine, that will set you back Php 1,998,000, which, in my world, is Php 2 million. While it does have some nice performance perks, it is not a really a driver’s car. It’s a car better appreciated if you’re the passenger. Sure, it has enough grunt from the engine but it seems that the power’s just there as needed. Drive aggressively and you can wish to have taken Bonamine 30 minutes before setting off. So it’s more of a cruiser than an instrument of speed. As for practicality, let’s put everything into perspective. We can all try to stop fooling ourselves calling the likes of the Accord and the Camry and the Teana “mid-size luxury.” These are all “mid-size family” sedans as far as the rest of the world is concerned. Pitting the car against the likes of the BMW 5-series and the Mercedes E-Class will do the Teana a whole lot of injustice. If we then re-classify the Teana as a mid-size sedan, then Php 1.7 million isn’t exactly cheap for a car to take the family around. 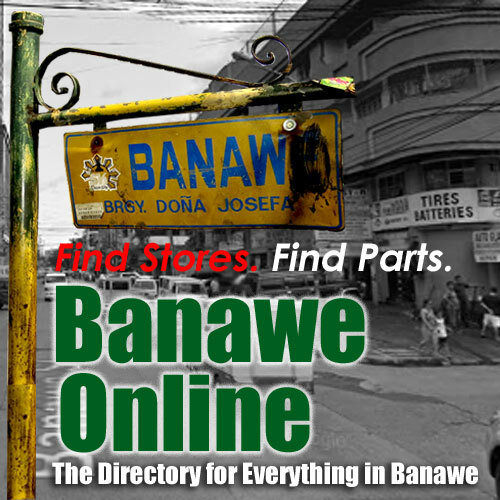 Not by Philippine standards. That kind of money can easily buy you a decent house and lot outside Quezon City. The amenities found in the car don’t quite justify the price. Sure there’s room and a few fancy thingamabobs. But given all of these, what’s exactly wrong with an SUV or even a crossover vehicle with all the bells and whistles found in them? But then again, it’s our country we’re talking about. The likes of the Teana, the Toyota Camry, and the Honda Accord are considered executive vehicles over here. That means that those who get to drive these cars are those men in their 40s and 50s who have already established themselves and are financially well-off. Money would probably no object. And representation counts. Much like buying a Tag Heuer (wouldn’t compare the Teana to, say, a Girard-Perregaux) when a Timex will do if it’s just telling the time. If you need a car that has that sense of luxury and is quite imposing on the road, the Teana is a pretty good car considering. If you have the money, there shouldn’t be much stopping you from getting one. Previous PostSafe Driving FeaturesNext PostHave You Joined the Chevy Spark Virtual Carpool Club Yet? the new nissan is very stylish and also its power. nissan rocks!! Very sweet car. Engine sounds like a nife through butter. Very silky. Quality written all over. Camry is smaller, it’s interior is poor, and there is no four-wheel drive system. And there isn’t so many electronics like in Teana.